The chain was loose (again!) this morning. With a little bit of effort, I managed to tighten it back up. It could have come loose because at the last adjustment, I was cautious of over-tightening the rear wheel axle nut. This time, I made sure the rear wheel axle nut is tight, really tight. After 2,700km of travelling, anything not tightened up properly is beginning to work its way out. I found 3 out of 4 bolts of the rear passenger grab bar coming loose. One has even worked its way out so much that it could have just dropped out anytime! Great! 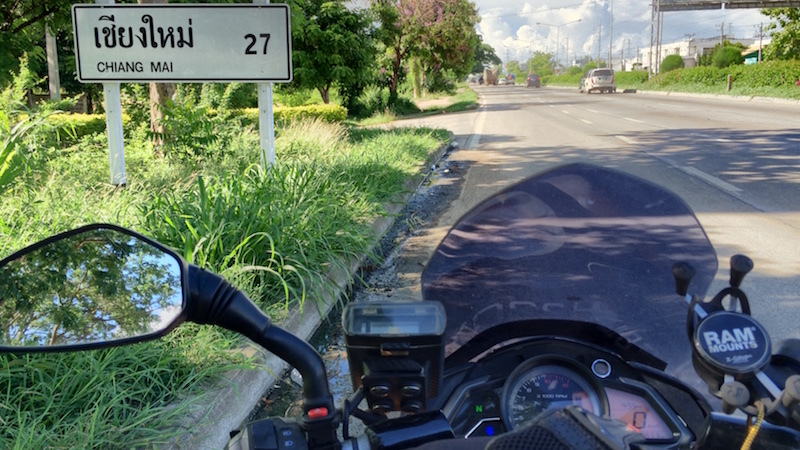 As I’ll have to pass Tak again to get to Chiang Mai, so I thought I’m now all set to enjoy that mountainous twisty road I didn’t get to enjoy 2 days ago due to unpreparedness, rain, and low, low fuel. Wrong! Barely 10 mins into the approximately hour-long route through the mountain pass, my tachometer reading went bananas! Initially, the tachometer needle was jumping all over the place. And then it settled at ZERO – not registering the engine RPM at all – although I was pretty certain that the engine was still alive. Next, the throttle response started acting up, and the engine was coughing away and died multiple times. Oh great! In a mountain pass?! With the bike’s erratic throttle response, I initially suspected a wiring issue on the RPM sensor connection. The CDI isn’t getting a proper reading and is firing the spark plugs wrongly. It wasn’t just a display issue – else the bike would be functioning normally albeit without the ability to display RPM. In fact, there were a couple of times I heard a loud pop from the engine – suggesting wrong spark timing. But I didn’t know where the sensor was. My first thought was to drop a message to the folks at Pulsarian Singapore Facebook group to ask for help. But there was no mobile reception in the pass! Great, oh just great! There was no shelter around where I could safely (and comfortably) troubleshoot the bike. So for the next hour or so, I limped my way out of the mountain pass, hoping to reach the next town for some mechanic’s assistance and constantly waiting for the mobile network signal to come back on. And in that miserable hour, random thoughts filled my mind. When I finally got out of the mountain pass roads, I spotted a highway rest stop and turned in. Found a shady spot and parked my bike. Tried to search for the RPM sensor but I didn’t know where its located. Then, by intuition, I opened up the rear seat and looked at the CDI. Removed it and gave it a good shakedown. Re-seated the connector and prayed. Viola! The tachometer’s needle came back to life! And the engine was acting normal again! Thank you God! The CDI’s connector must have jumped itself loose on one of those bumps. Thankfully, it was just a wiring connection issue. No show stoppers here. Phew! So it was lunchtime, and I pulled into one of those restaurants along the highway. Incidentally, this one serves Vietnamese food. Me know no Thai word. Me like pictures! Pictures looks yum yum! 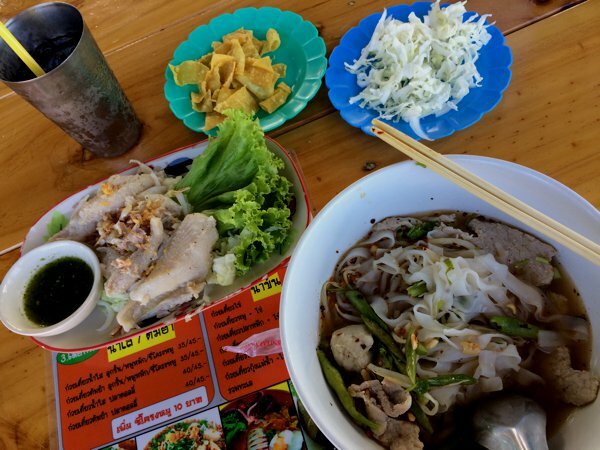 Bowl of beef noodle soup and plate of fish. 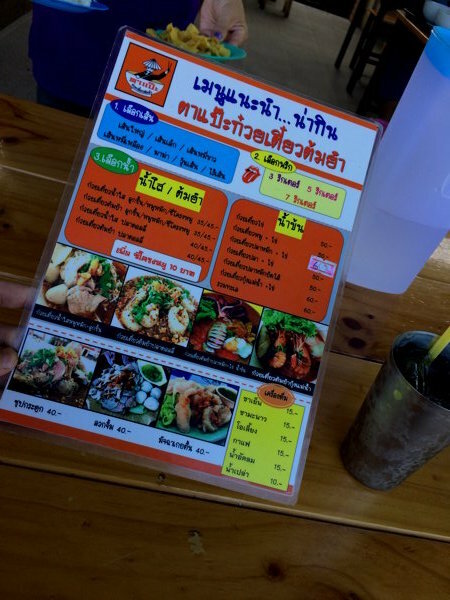 THB75 for this meal. 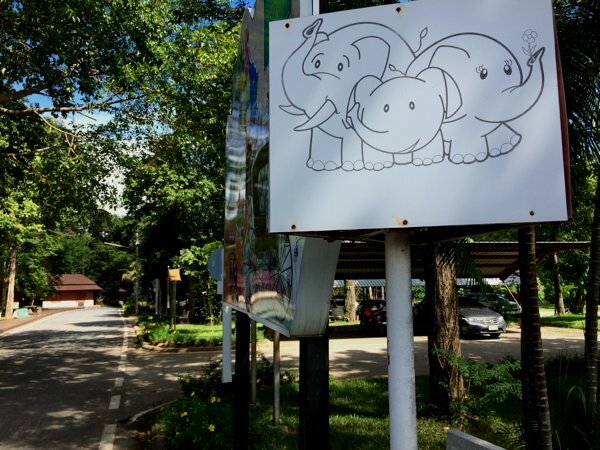 Enroute, I passed Lampang and spotted the Thai Elephant Conservation Centre. So I decided to stop and do the touristy thing. 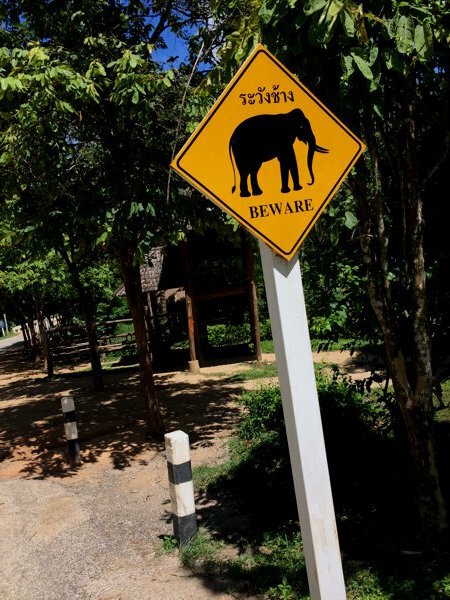 Now beware of the not-so-cute ones who might trample on you. 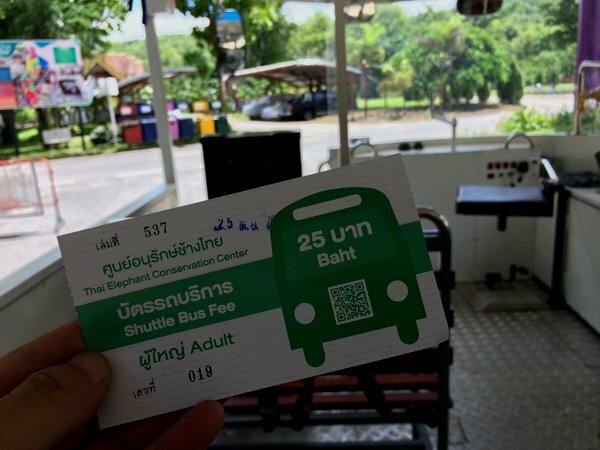 I missed the last elephant show for the day, but entry to the conservation centre on a park tram was just THB25. Great! My new ride! GPS tells me I’m travelling at 2kmh. 1 elephant power here. Not sure how much that is converted to HP. Parked my ride in the shade and went exploring on foot. 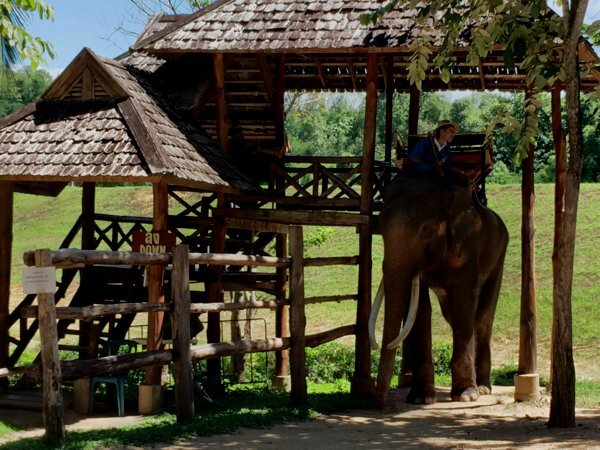 The Thai Elephant Conservation Center is the only government-own elephant camp. 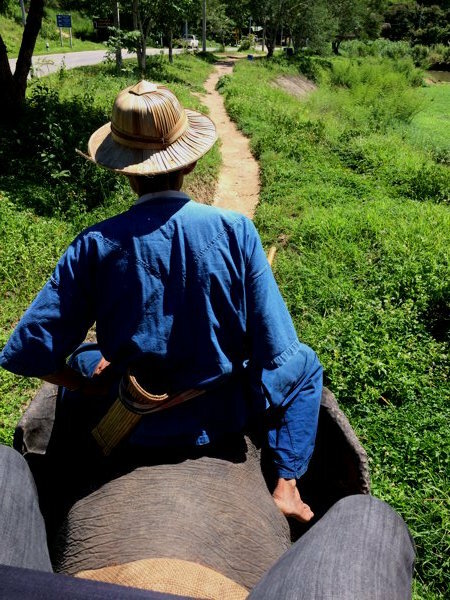 When the Thai government placed a ban on logging in the forest, many elephants suddenly found themselves out of job. Forest Industry Organization then started this conservation centre to re-purpose these elephants and to study them. 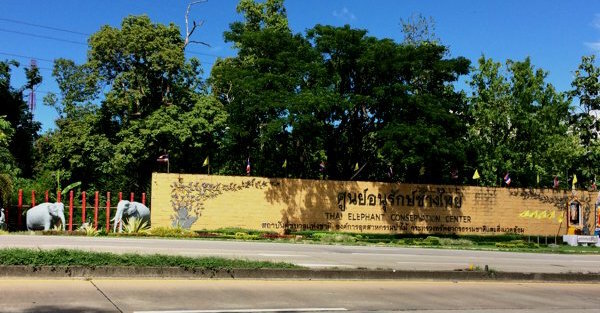 The place also house the National Elephant Institute of Thailand and an Elephant Hospital for the sick ones. 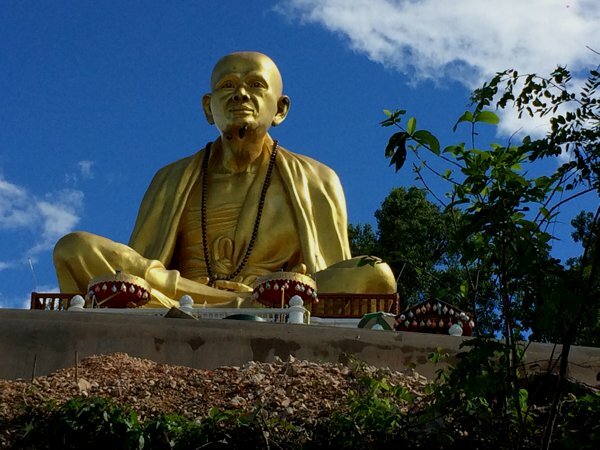 Saw this huge golden statue along the highway. And finally! After 6 days of travelling (and rest stops along the way) I’m here in Chiang Mai! 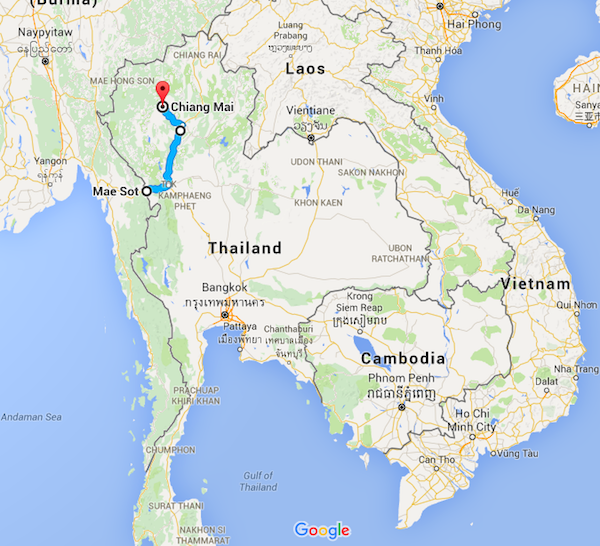 The basecamp of the Mae Hong Son loop. Checked into my hotel room – which is on the 6th floor. Thankfully, this hotel comes with lifts. 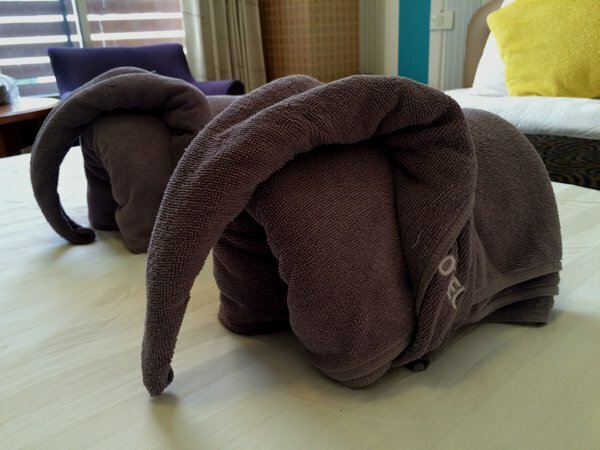 The elephant theme continues in this hotel. I washed up and rested a little while, and before long, it was dinner time. And I was hungry. But…. Rain, rain, go away! Come again another day! sgBikerBoy wants to play! It was raining! No! Pouring! 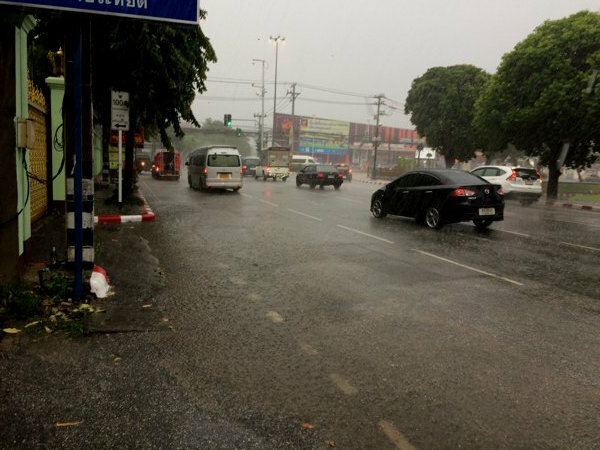 So I decided not to ride, borrowed an umbrella from the hotel reception, and walked to the nearby shopping mall. There was water ponding everywhere. My waterproof Sidi riding boots held up really well! Even when submerged in water up to ankle height, my feet remained dry. But my jeans… not doing so well. 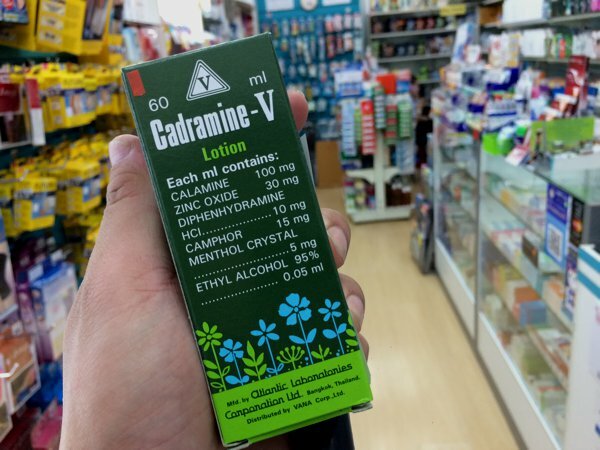 Dropped by the pharmacy and got myself a bottle of calamine lotion for the bum rash that has started developing. 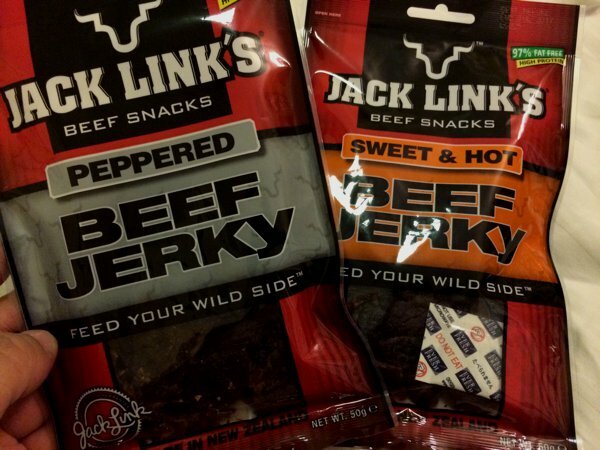 Got myself some snacks in case I got hungry. 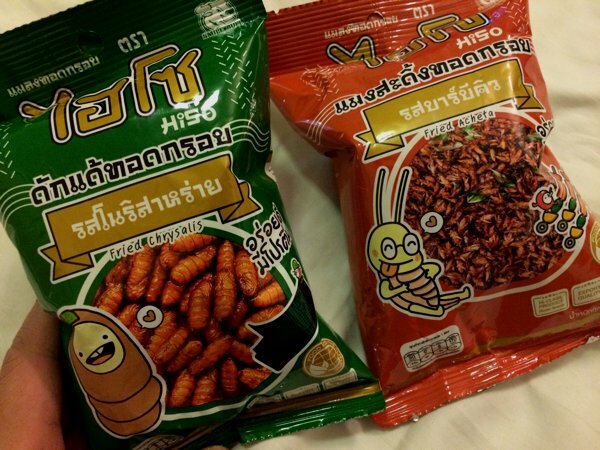 Tried the packet of chrysalis – didn’t like them too much. There was some weird aftertaste. Not aroy. Haven’t opened the pack of acheta yet.